it is trial or free version ? Let me try this one out . 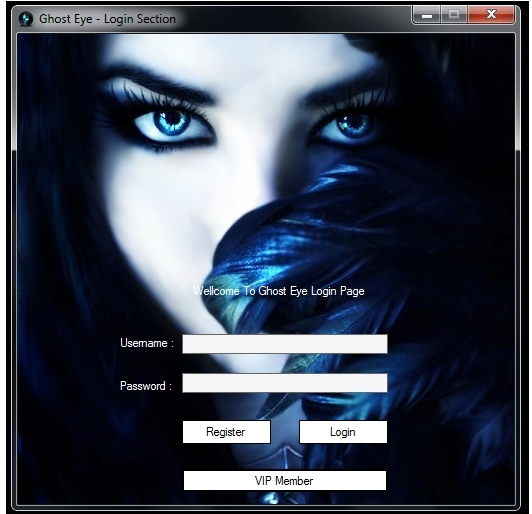 Ghost Eye Is a Fast Hack Program with alot of features, Like Strong Denial-of-service Attack (DoS attack) Crypter, File Binder, Fast SMTP Mail Sender, Website IP resolver, Skype Resolver, IP checker, IP Tracer With alot Of features, Live Chat, And alot of other features that will Help you ! - Ghost Eye Was Coded By Hisoka Ismael From Morocco, Remember, Hisoka Is not Responsable For the use Of this Product, It's For Educational purposes Only. For the virus Scan I Don't know why they give me 11/45 But i can guarante that this software is 100% Clean, So it up to you ! To download Just Post here To keep the theart alive, And i'll PM you The dl link, Please DON'T PM ME. 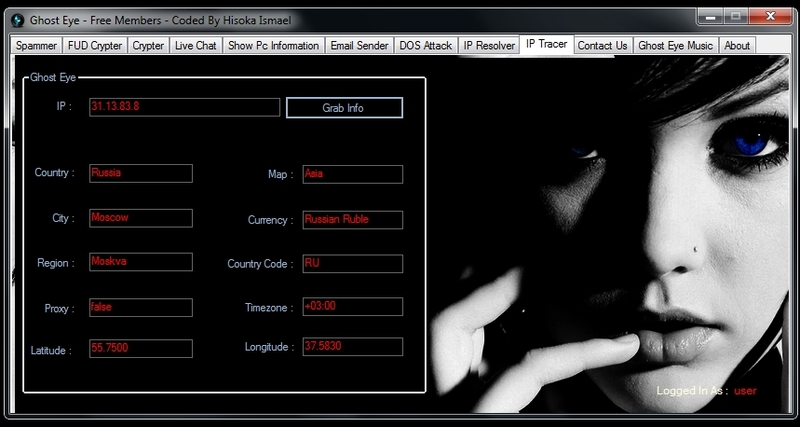 Note : I'm working Hard Now To make A fud Crypter and give it for free ! the free crypter is like 6/35 !